I was at Ali’s house a few weeks ago and got in quite a few games against Ali, Sol and Pyro. I had a couple of matches against Pyro that really made an impact on me. He was using a variety of different characters which I had varying degrees of success against, and then he picked Ryu and beat me soundly. I got very salty. This is mainly because I get very salty whenever anyone beats me in the mirror match (especially if they don’t even main Ryu). And also because Pyro was really tearing me a new one in the footsies department, which was frustrating me greatly and I would play more sloppily as a result. Pyro was hitting me with a LOT of sweeps. Whiff punishing my low forwards a lot, and just plain hitting me with naked sweep. He would put me in the corner and just swept everything I did. I was blocking some of them, but because a lot of them were at max range they were pretty hard to punish without super and with my high frustration level. I realized that Pyro was specifically looking to hit me with sweep, and while this at times would result in him doing unsafe sweeps, this mindset or expectation of punishing me with sweep was what allowed him to react so quickly to any whiffed low forward I did. I had a talk with Pyro later and he said pretty much the same thing, which reinforced my notion that you have to be actively looking for that specific situation in order to react in time to punish something that is as quick as a whiffed low forward. Because you know humans react faster when specifically predicting something rather than from a neutral position, blah blah blah. You’ve all heard it before. I know that whiff punishing is not something I am very good at. I have practiced it before in training room, but I figured it was something that I would get better at over time by playing people, along with developing the rest of my footsies. But after a year of playing daily in the arcades, while my “proactive footsies” of being aggressive, walking forward in my low forward range has gotten a lot better, I’m still not any good at whiff punishing. Why? After my salty matches with Pyro, I went home and did a couple of lengthy training room sessions just practicing my whiff punishing. Initially I found it very hard to even do it- I probably could whiff punish Ryu’s low forward 1 out of 5 times. After some practice, I could do it more consistently. I also practiced it in the corner, and recreated what Pyro and Kilok always do to me. They put in the corner which makes it much easier to judge range and just stand there, waiting for to me stick out and whiff low forward. I practiced using low forward fireball to kind of naturally push me back to the perfect distance where the Ryu in the corner would whiff his low forward. But when I recorded the dummy to do a staccato pattern of whiff jabs, walk back and forth bobs and low forwards, I found that I could not accurately react to low forward at all. I would often try to sweep the jab by mistake. How am I going to do it consistently against a real person? After the talk with Pyro I realised that I just don’t use sweep enough, and that my entire mindset towards using sweep is not helping me at all. 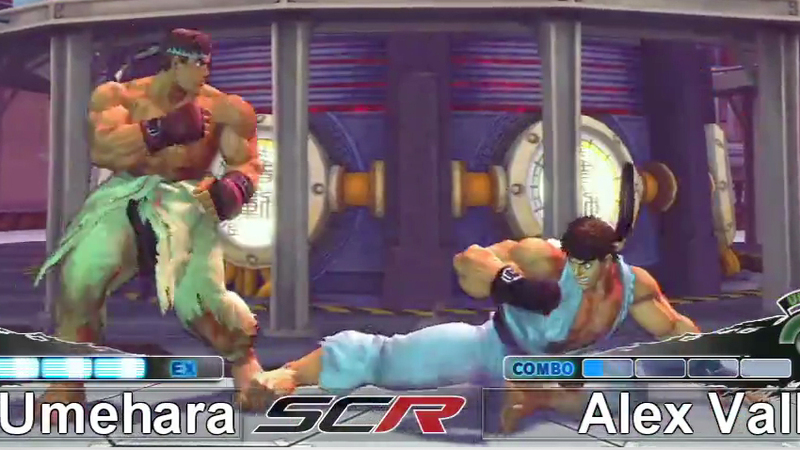 Ryu’s sweep is an extremely potent weapon. It starts up in 5 frames so it is one of the fastest sweeps in the game. It has considerably more range than low forward, does 90 damage on hit, and you get a free safe jump/crossup tatsu every time. It basically is one of the best whiff punishers in the game. Because of that, I treat it as an unsafe weapon, and only ever pull it out as a punish or combo tool. I’m the type of Ryu that rarely just throws a sweep out there. I walk forward to sweep range and the thought of doing sweep never crosses my mind. Because it’s -14! Why would you do that! Is what the speech bubble over my head would say. So doing the sweep is a calculated gamble. Much like everything in Street Fighter. I like to think the core aspect of my Ryu game is “safe”. But I need to at least have the thought of using sweep when I’m within range of it in order to advance my whiff punish game, even if it leads me to becoming slightly trigger happy with it. So with that in mind, with my new training and mindset I went to the arcades. One week later, I had only done one actual whiff punish. And I had done many, many blocked sweeps that had got me punished. But that’s okay. At least I’m getting in the habit of doing it, and overcoming my fear of “-14”. And the next week I did much better. So thank you Pyro, for making me salty! I’ve also started making whiff punishing a core part of my training room regimen. I realised that it’s not enough to just practice it in real matches, but since I’m not blessed with great reactions I have to make an effort to practice it a lot in training room too. And it’s been fruitful. Every day I try to whiff punish different characters. I learned that punishing Bison’s stand forward and roundhouse with sweep is easier than things like Ryu’s low forward, but punishing Vega’s low strong is almost impossible. I learned that even though Akuma’s sweep has massive range, if you make it whiff you can walk forward just a tiny bit before sweeping him back. I learned even though Oni’s forward fierce has huge range; it moves his hurtbox forward and practically guarantees a easy sweep on whiff every time. I practiced whiff punishing Balrog’s low sweep; a normal that I have great fear of. Just trying to whiff punish a lot of different characters and their best normals has had the added effect of making me a lot more aware of ranges. At times when playing matches now I look at the other character on screen and I picture an imaginary limb of their best normal sticking out from their body. Then I go to stand just outside of that imaginary limb, and when it comes out, I sweep it! It comes a lot easier to me now. And another interesting thing that I noted was my hand placement. Since SF4 is my first competitive fighting game, I don’t use double tapping. And maybe because I play musical instruments, I’ve just naturally always used different fingers for all the different buttons. For example, I hit short with my thumb, jab with my index, strong with my middle, fierce with my ring finger etc. When I plink low strong I do it with my index and middle fingers, when I plink low roundhouse I use middle and ring. I first thought about this when I saw top players for the first time. For example, Daigo and Mago use the “pincer” technique. Since they double tap everything, they seem to use just two fingers to hit every button. So when I would watch their hands, their hand position would change really quickly as they would flash their index and middle to double tap forward, and right back up to do the fierce hadoken. I marveled at this at the time, because my own hand position is always relatively static. As a Ryu player, I hover my hand over the buttons at a position where my thumb is always above short or forward. And so when I do my bread and butter low forward fireball, the motion of hitting forward with my thumb and fierce with my middle finger is really easy and natural. What came to my attention when doing the whiff punish exercises was that I would actually break from this norm and shift my entire hand to hit the roundhouse. In fact I found myself naturally reaching down to hit it with my ring finger- my plink finger. I thought to myself, maybe the movement of my hand is what slows me down, so let me try to use my thumb. And then I would stick my thumb inwards at a weird angle and hit the roundhouse with the side of my thumb. Not good. It felt really unnatural. And painful. But its funny how my natural hand position over the buttons has inadvertently left the roundhouse button in a bit of a blind spot. And perhaps that has also contributed to the stagnation of my sweep punish development over the years. One last thought. I don’t think I will change from my “different fingers for different buttons” method any time soon, but then I thought about it a little more. That’s why my method just makes the most sense to me. Efficiency of hand movement. But when I thought about it some more, I realised that the “pincer” style of Daigo and Mago is pretty similar to using a pick on a guitar. When you double tap it is to extract the most frame leniency from your links from your buttons. But that then forces you to use two fingers and probably your whole hand for a single button. It’s like a pick, you hold a pick with your whole hand, and to hit all the six strings with the speed of finger plucking you have to move your hand with a lot of speed. And it makes less sense to use your whole hand for something that can only hit one string at a time, and it feels more unintuitive at the start as well. But you get better articulation, more volume, more tone etc from the strings. (Strumming is something I am overlooking for the sake of my point.) So for the added result, you have to develop entirely new hand skills to achieve the same speed. And I’d argue for games that require double tapping, those hand skills are something definitely worth learning, even if it does take a lot of time to get used to. This entry was posted in Ultra SFIV and tagged -14, Double tapping, finger picking, Pyro, Reaction time, sweep, Training Room, Whiff punishing. Bookmark the permalink. Heh thanks. Are you impying that you are the handsome, charismatic black half of our relationship? Ask Desk for music -> sf hand techniques? You know what, I bet Desk would definitely have a interesting perspective on it. Being you know, an actual good musician. You have six buttons. Use them all.